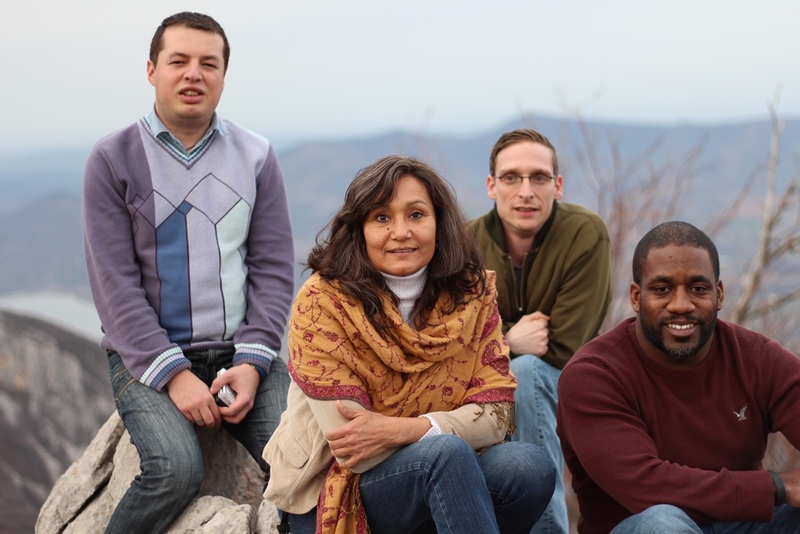 Justn Turrell (Minesota) , Emira Palacios (Wichita), Zach Chesnoff (St. Luis) and Neil Sealy (Little Rock)just started their mentoring visit in Bulgaria. After fruitful experience in Romania, Budapest and Slovakia the 4 U.S. mentors gathered in Bulgaria to visit their mentees as part of the Fellowship Exchange Program, financed by the U.S. State Department. The first day of their visit they have got to know C.E.G.A. Foundation’s activities and met the alumni who were enrolled in the program since 2012. 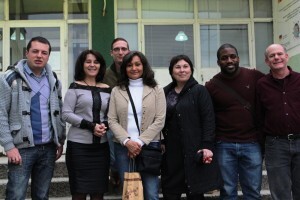 The second day in Bulgaria, the mentors went to Vratsa, northwest part of Bulgaria to meet Kalina Hristova – one of the Bulgarian alumni, taking part in the last Exchange visit. 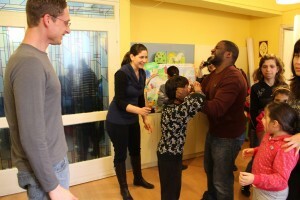 She invited the group in the Resource Centre she is working in and surprised as with a workshop where 35 children with special needs, 15 resource teachers and 3 local TV channels were waiting us to start making the so called “martenica”. This is a traditional souvenir that each Bulgarian is wearing on 1st of March for health prosperity. After the workshop, Kalina shared with the mentors what she achieved so far in organizing and her major challenges. The mentors got to know in details her work and gave her few ideas on furthering the activities she is doing. In the afternoon we visited the local museum to learn about the Thracian Treasure found in those lands around the Vratsa town. It was an hour of deep history about a tribe lived 4 000 B.C. At the end of the day, the visit finished with a claiming the nearest hill, which discovered a beautiful view of the land in Vratsa. Stay with us for more, next visit is Plovdiv.